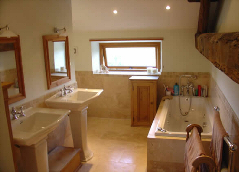 Specialists in all aspects of Complete Bathroom Refurbishment including Special Care Bathrooms. 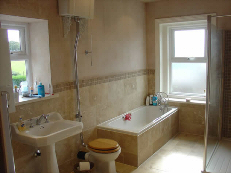 A local company specialising in complete bathrooms in Preston and all surrounding areas. We pride ourselves in our experience and knowledge in the design and fitting of wet rooms and all associated assisted living needs. 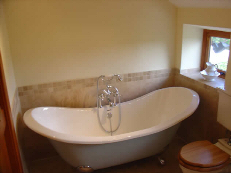 We cover all the associated trades required (structural work, tiling, plumbing, plastering, joinery, electrical) from design through to completion, so you only have to deal with one company throughout your bathroom installation. Whether you have a large spacious bathroom needing total refurbishment, or just require modest enhancements to your current facilities, we can help design, plan and give professional advice. We have many years experience fitting bathrooms in Preston so we understand the issues when working in customers’ homes. We offer a first class service with a high attention to detail, all our tradesmen are time served and very competent in their specific trade. The majority of our work comes from recommendations. Emergency Call Out Individual replacement sanitary ware. For a free no obligation quote or even if you just need some advice don`t hesitate to get in touch.